A boutique condominium under construction in the Ocean Reef Club community in Key Largo is expected to be completed in the spring of next year. The 27-unit condominium building, called 121 Marina, is the first luxury residential development in almost 20 years at Ocean Reef Club, a golf-oriented community that already has about 1,500 homes. Nine of the 27 condos have been sold, according to Eric Soulavy, president of Blue Jay Capital and the developer behind 121 Marina. Unit prices range from $5 million to $10 million. 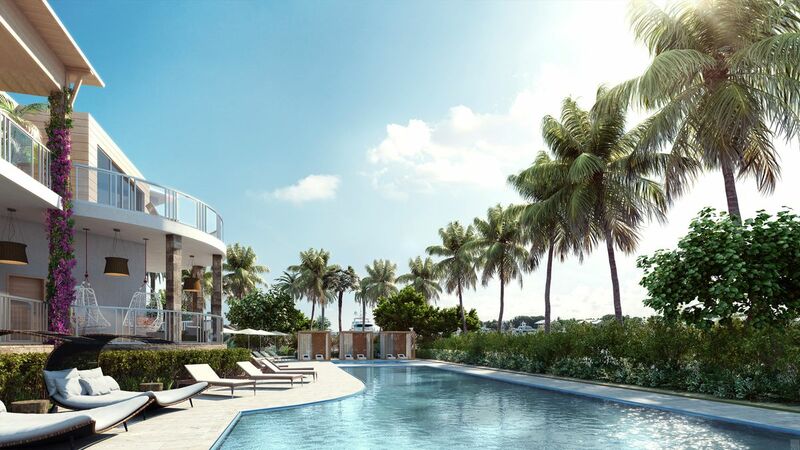 Residents have access to the shared amenities of the Ocean Reef Club plus those at 121 Marina, including a swimming pool, fitness center, clubroom, putting green and yoga lawn, and 10 boat spaces. Ocean Reef Club spans 2,500 acres and has a dozen restaurants, two golf courses, and a grocery store, a veterinary hospital and a marina. The development site of 121 Marina previously was occupied by a hotel with a cooking school and convention space, which was torn down to clear the land.